When Hurricane Katrina battered the Mississippi Gulf Coast, it left behind thousands of displaced families and 30 million cubic yards of debris. As part of a collaborative effort, Ocean Springs was one of 11 coastal communities studied during the Mississippi Renewal Forum charrette organized by the Congress for the New Urbanism following the hurricane. Dover, Kohl & Partners directed comprehensive studies of the city, identifying key opportunities to rebuild that would also reverse the momentum of region-wide sprawl existing before the devastation. 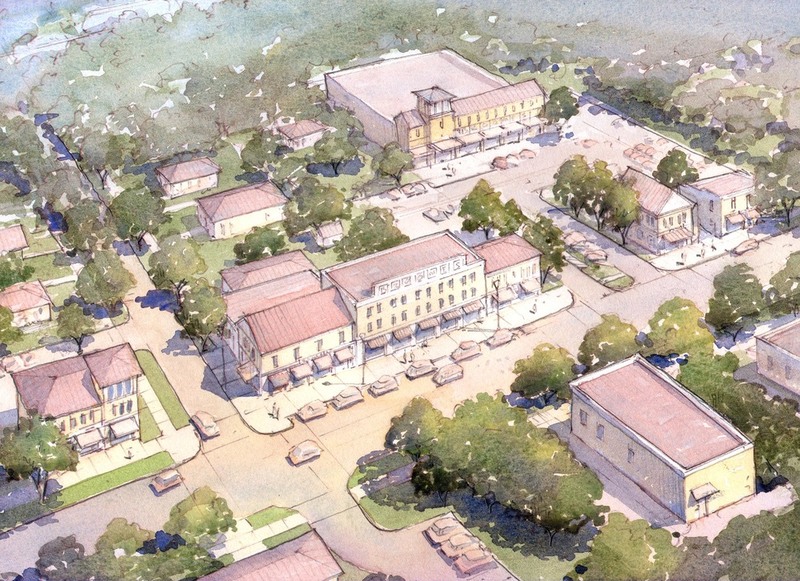 Following an all-day debriefing from Governor Barbour and intensive tours of the city’s post-Katrina conditions, the Mississippi Renewal Forum design team held a public design charrette in October 2005 to prepare redevelopment and growth strategies for Ocean Springs. The initial plan, which was the result of extensive community input and feedback, was the foundation for all future planning. The primary goal to adopt a Green City framework that was also a "City of Neighborhoods" was a driving force of the plan. Understanding that redevelopment would happen over time, the design team promoted incremental infill in existing neighborhoods and created specific design plans for new development in special places, including: Ocean Springs Harbor; West End Landing & Front Beach; the Railroad Historic District; Singing River Hospital; Transit Oriented Developments; and the Berlin Property ("100 Acre Wood"). Encouraging mixed-uses throughout the city was also a central planning idea. 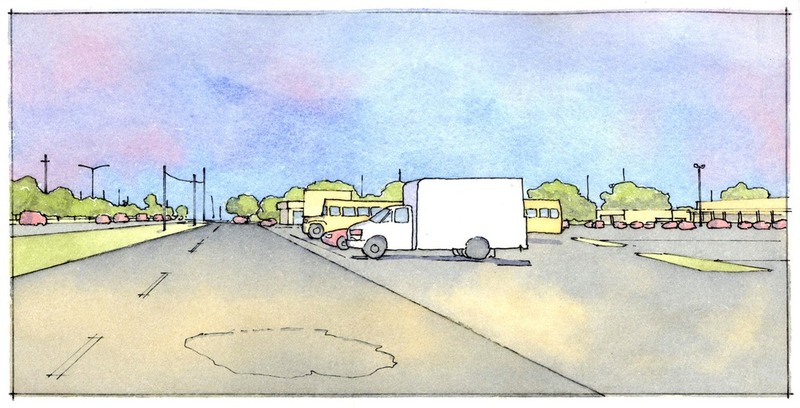 Particularly, the plan envisioned the redevelopment of the Highway 90 "strip" (Bienville Boulevard) as a mature urban boulevard as one of the primary goals. 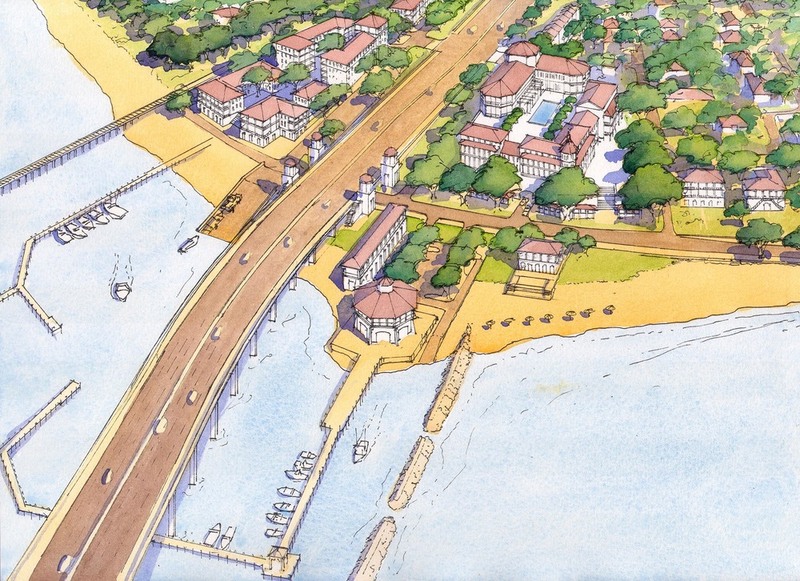 As a follow-up to the Mississippi Renewal Forum in October 2005, Dover, Kohl & Partners was invited back in 2006 for to lead a charrette to create a plan for the waterfront. The team later returned in March 2008 to design the Downtown Master Plan and assist in calibrating calibrate the SmartCode for the city. Following the success of these projects, Dover-Kohl completed the Bienville Boulevard plan in June 2008, creating a plan for a transit-ready, mixed-use community along Ocean Spring’s main commercial corridor. Dover-Kohl collaborated with numerous consultants in the creation of these plans, including Torti Gallas and Partners, Hall Planning & Engineering, TND Engineering, Chad Emerson, and Chael, Cooper & Associates. The City intends to adopt the Downtown Master Plan and calibrated Ocean Springs SmartCode in the spring of 2010.